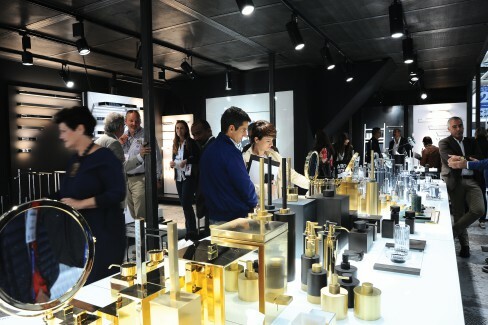 Held in Bologna, Cersaie the International Exhibition of Ceramic Tile and Bathroom Furnishings confirmed its status as the leading commercial event for the global market. 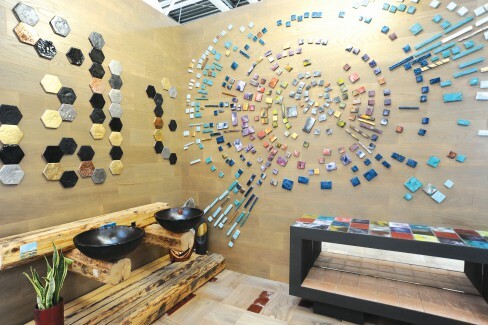 Cersaie is the largest and most important international exhibition for the ceramic tile and bathroom furnishing sectors. Cersaie’s status as the largest and most important international exhibition for the ceramic tile and bathroom furnishing sectors is confirmed by the presence of 323 international exhibitors, including 224 non-Italian ceramic tile manufacturers out of the sector total of 457. 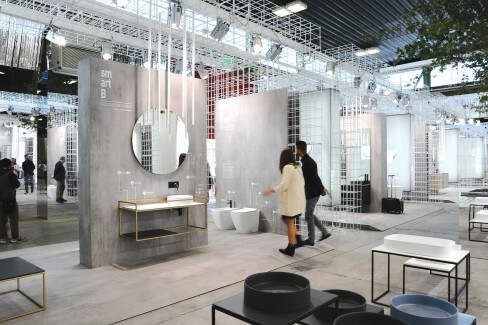 The participation of 197 bathroom furnishing companies also demonstrates that Cersaie is the leading show for this segment in Italy as well as a major event at a European level. Following the ribbon-cutting ceremony in Piazza Costituzione, Cersaie 2017 opened on Monday 25th September with the inaugural conference entitled “Sustainability and competitiveness of European manufacturing in an international context”. 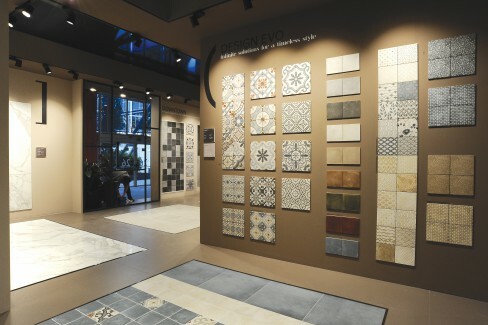 The increasingly high levels of aesthetic and functional performance of porcelain tile are once again grabbing attention at this year’s Cersaie. The key factor in terms of surface quality is the advent of digital printing technology, which is capable of reproducing natural materials, especially marble and wood, with an astonishing degree of fidelity. 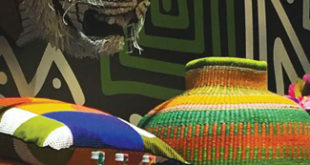 The versatile digital printing solutions create aesthetic qualities that are virtually indistinguishable from the original materials while ensuring far superior characteristics of strength, sustainability and ease of maintenance coupled with lower costs. As for the ceramic bodies, the use of cutting-edge manufacturing technologies together with high-quality raw materials makes it possible to produce very thin and consequently much lighter tiles that are nonetheless extremely resistant and hard-wearing. 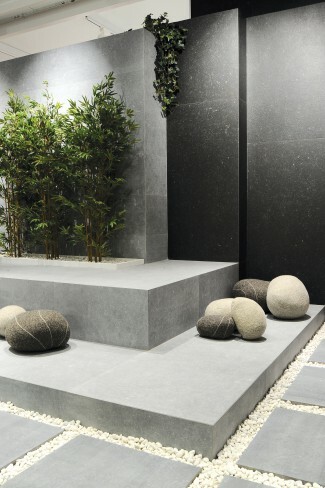 These thin tiles and panels come in an extremely wide range of sizes, from very small through to extra-large, and the fact that they can be installed over existing surfaces like a second skin makes them ideal for renovation projects. 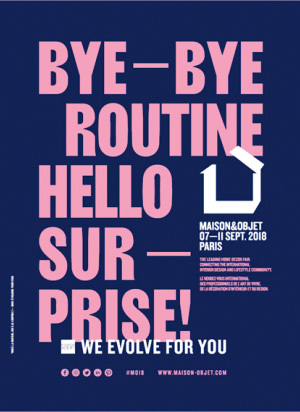 The show’s outstanding appeal combined with the positive economic situation in the various markets led to growth in numbers of both Italian visitors (+5.0% to a total of 58,422) and international attendees (+4.3% to 53,182) from almost all countries worldwide. As always, the Italian and international press was very strongly represented with a total presence of 922 journalists. Representativeness and international scope were as ever the key characteristics of Cersaie, which alongside the traditional sectors of ceramic tiles and bathroom furnishings once again hosted a large number of exhibitors of wood, marble and natural stone surface coverings and key components of the ceramic supply chain. 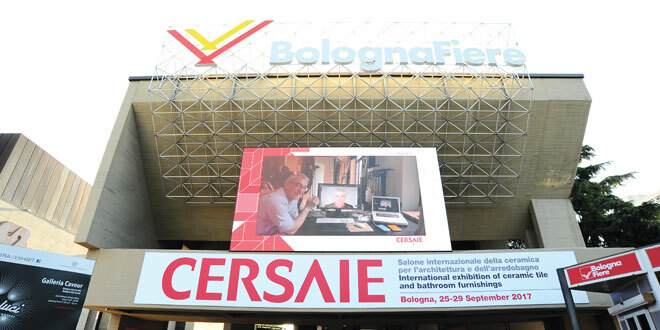 Cersaie is increasingly establishing itself as a key event for the world of architecture and interior design, installers, the media and the general public. The architecture conferences were strongly attended and the Lesson in Reverse given by Fabio Novembre saw the participation of more than 1,300 students.